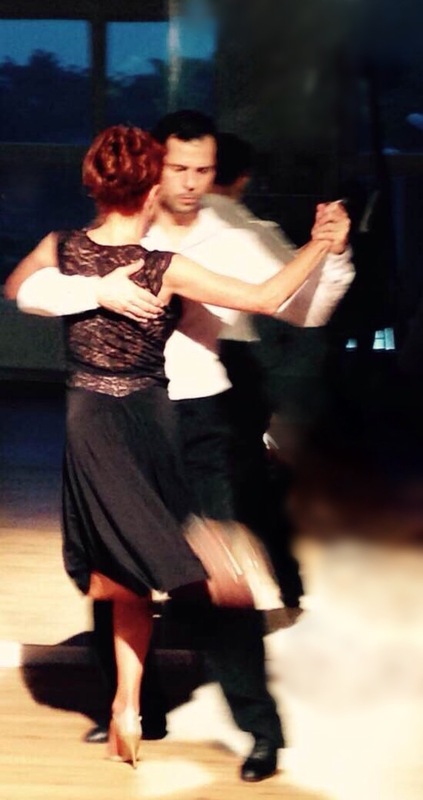 Exquisite Argentine Tango Dress in black jersey and lace. 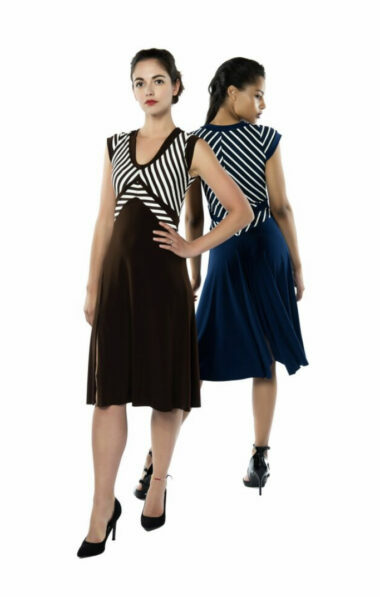 Extremely comfortable, this dress creates a gorgeous movement while dancing. Part of our “Easy Fit” line of Tango Dresses, the V dress has an extremely flattering shape that takes the attention away from the abdomen area and creates the optical illusion of a slimmer waist. 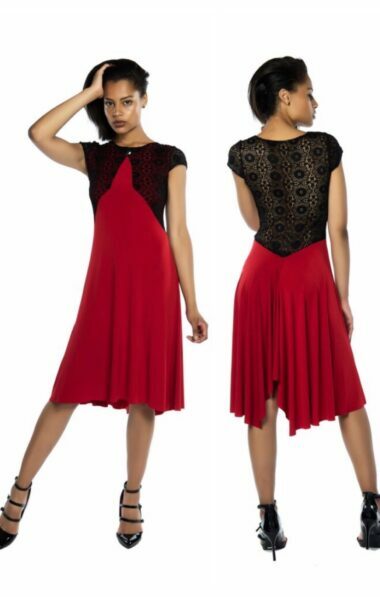 The V Argentine Tango dress is one of our customers’ most coveted pieces. The V Argentine Tango dress is part of our “Easy Fit” range and it looks amazing on all body shapes and sizes. The recurring V motive on the front and back of the bodice creates the optical illusion of a slimmer waist thanks to the diagonal seams descending from the sternum to the train of the dress. As most of our styles, the V dress can be made in custom colours beyond our standard colour offering (you can check the custom colour availability at the end of the product gallery). We will not charge for custom made to make the skirt in a different colour but, because of the customisation, the skirt will NOT be RETURNABLE.